Debra’s Bridal Shop has been a family owned business for over 49 years, specializing in moderately priced bridal gowns, bridesmaids’ gowns, prom pageant, and evening gowns. As North Florida's longest running bridal shop we continue to cater to every brides’ individual wants and needs. 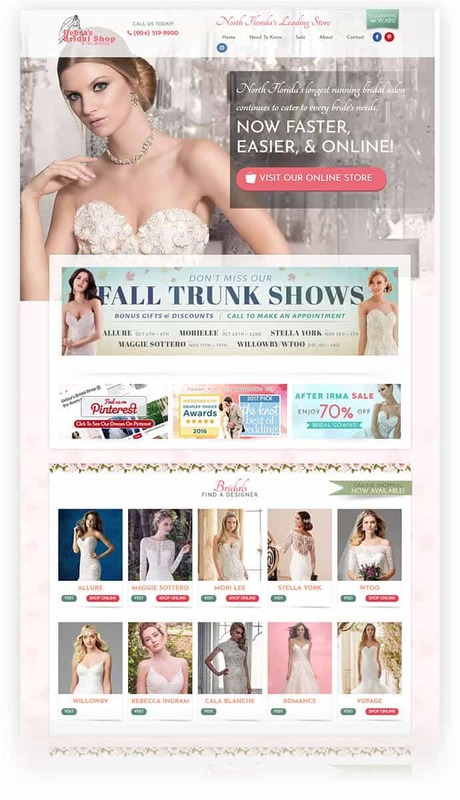 Debra's Bridal has an old outdated website that was not mobile-friendly. Because of this many opportunities were lost. 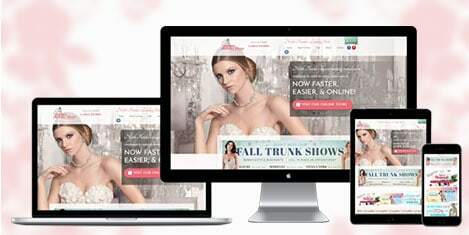 AnoLogix researched competitors from around the country to design a website that met the goals Debra's Bridal Shop. This beautiful site is now mobile-friendly and brings in new customers daily.